Spain has a rich cultural, architectonical and historic heritage. Below you will find our list of some of Spain's most interesting sights, monuments, places and museums. Modern Spain is also famous for its gastronomy, its wines and delicious tapas that you will find at the end of the list. 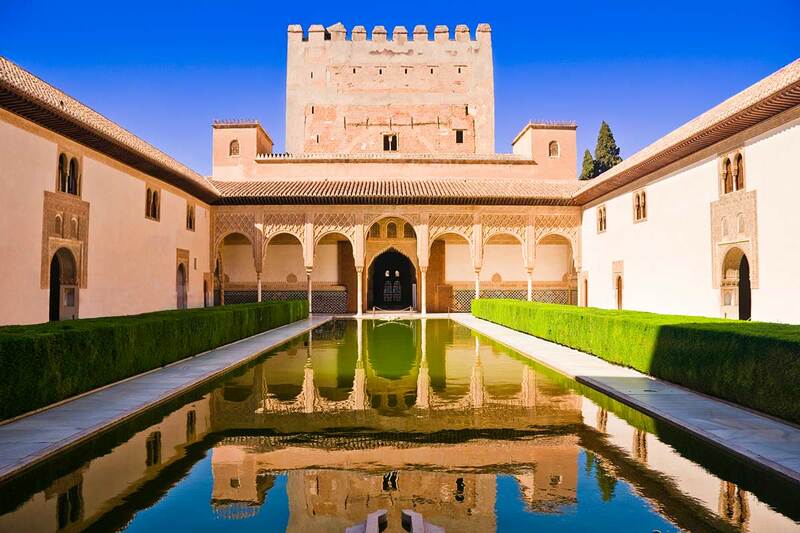 Alhambra, located in Granada, is one of the most visited monuments in Spain. Alhambra is a palace and a fortress complex that reflects the culture of the last centuries of the Moorish rule in Al Andalus as well as the Nasrid Emirate of Granada in Southern Spain. In the complex the visitors can visit the Nasrid Palace, that was built to host the Nasrid Dynasty being the last Moorish and Muslim Dynasty on the Iberian Peninsula. Do not forget to visit the Palace of Carlos V as well, a buildign that nowadays hosts the Alhambra and Fine Arts Museum. The Generalife just outside the palace itself, are probably Spain´s most famous gardens. Here you will find the Nasrid rulers' beautiful summer Palace. The gardens are full of fountains and we originally designed in the 13th century by 35 professional gardeners. The site of Alhambra is recognised as a UNESCO World Heritage Site. Construction on the Sagrada Familia (the full name is Basilica and Expiatory Church of the Holy Family), was begun in 1882 under the architect Francisco de Paula del Villar. However, as he resigned a year later Antoni Gaudi (1852-1926) undertook the project transforming it in accordance to influences from Gothic style and Art Nouveau. Even though the church still remains unfinished, it is one of Spain most impressive monuments and certainly the most visited: close to 5 million people visit la Sagrada Familia every year! The building is on UNESCO’s World Heritage List. The admission fees, that sum around 60 million Euros pay for the construction works that now progress rapaidly. 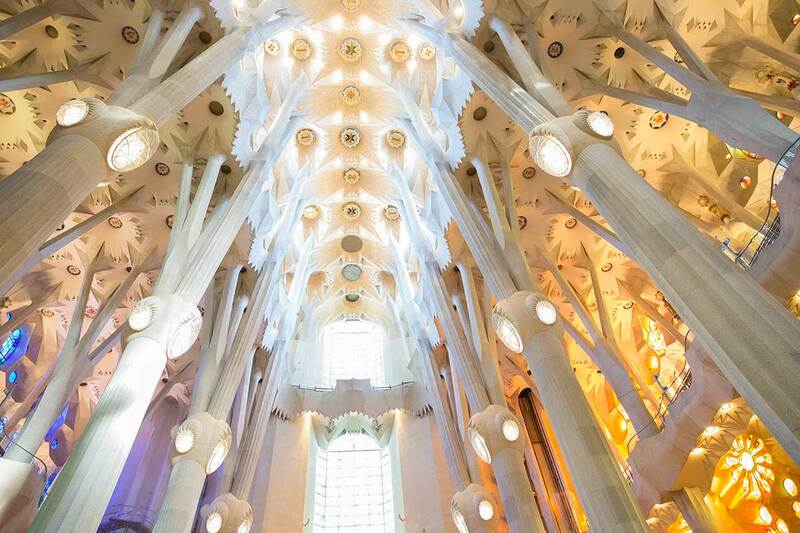 The church is expexted to be finished in 2026 - 100 years after the death of Antoni Gaudí. 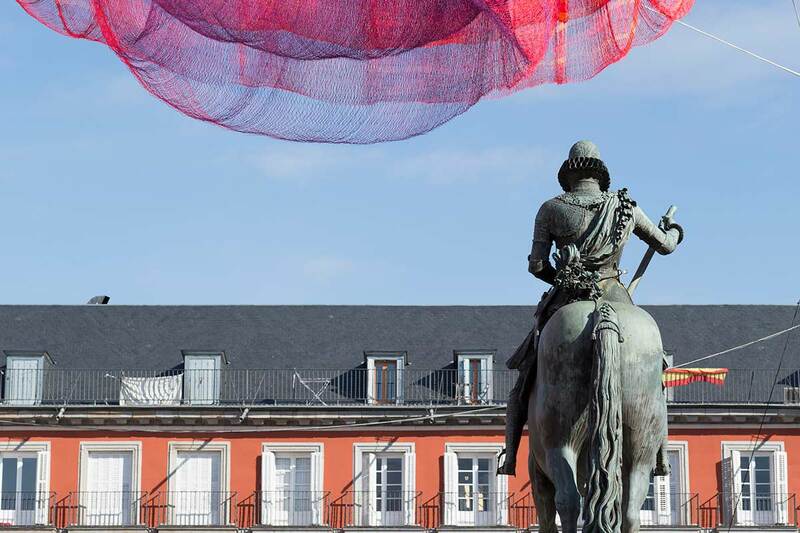 The Triangle of Arts consists in a group of 3 important museums located close to the main boulevards in Madrid, the Paseo Del Prado, in the centre of Madrid. Museo Del Prado, the main national art museum in Spain, is home to one of the World's most extensive collection of European art from the 12th to the 20th century. 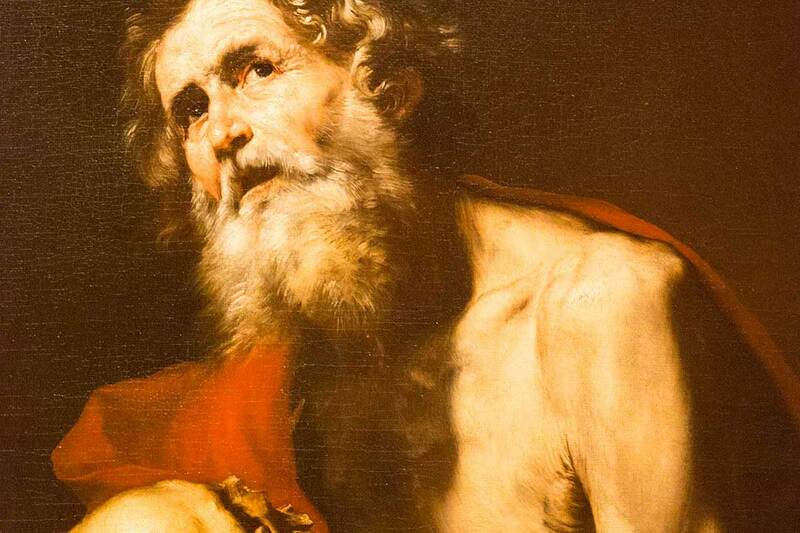 Visitors can admire masterpieces of renowned painters like Francisco Goya, the most extensively represented artist of the museum, as well as masters like Hieronymus Bosch, El Greco, Peter Paul Rubens, Titian and Diego Velázquez. Another museum is The Thyssen-Bornemisza Museum, another marvellous art museum that includes Italian primitives and works from the English, Dutch and German art schools. Thyseen Museum owns more than 1600 paintings making it the second largest private collection in the world after the British Royal Collection. The Nacional Musuem of Arte Reina Sofía, is the last art museum of the Triangle, exhibiting 20th century art, with a focus on Spanish artists like Salvador Dalí and Pablo Picasso, but also international artists. The Musuem's most famous masterpiece is the Pablo Picasso's Guernica - considered as one of the most important works of art of the 20th Century. 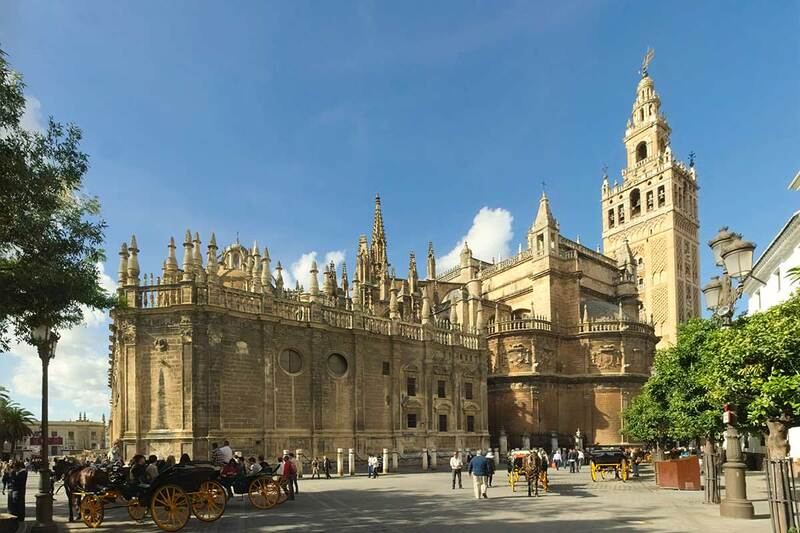 Seville´s Cathedral (The Cathedral of Saint Mary of the See, or in Spanish: La Catedral de Santa María de la Sede) was built after the destruction of a Moorish Mezquita located at the same spot, from 1401 and onwards. The cathedral is one of the world´s largest cathedrals and the monument leaves most visitors speechless. The Cathedral is part of UNESCO´s World Heritage List and it is the home to Christopher Columbus' tomb as well as the tomb of his son, Fernando Colon. Part of the Cathedral, you will find the famous Giralda, a symbol to the city of Seville and a bell tower originally built as the minaret for the Great Mosque of Seville in al-Andalus, Moorish Spain. 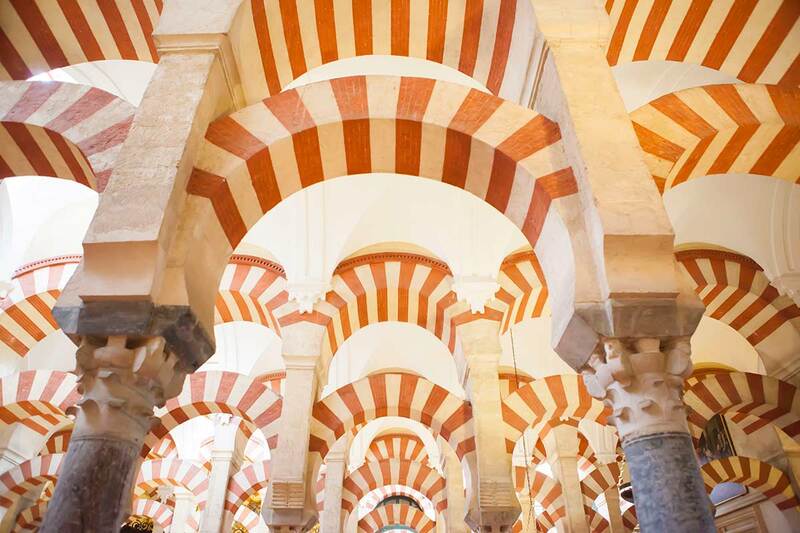 The construction of the great Mosque of Cordoba was begun during the reign of Abd al-Rahman I in 784 AD, but the building was expanded several times by the Moorish Dynasties over the next centuries. When Córdoba returned to Christian rule in 1236, the building was converted into a Roman Catholic Church. Today it is the Cathedral of Cordoba, but it still contains many elements from the earlier mosque. This in another World´s Heritage Site. Casa Mila takes its name from the couple Pere Milà and his wife Roser Segimon who purchased a detached house with a garden on the famous bourgeois street of Passeig de Gracia. In 1906 they contracted Gaudi who worked on the project during 6 years, despite financial and legal complications. Its name ‘’La Pedrera’’ ‘’the stone quarry’’ came by its stone façade and the difficulty of the society to appreciate the very modern architecture of Antoni Gaudí. 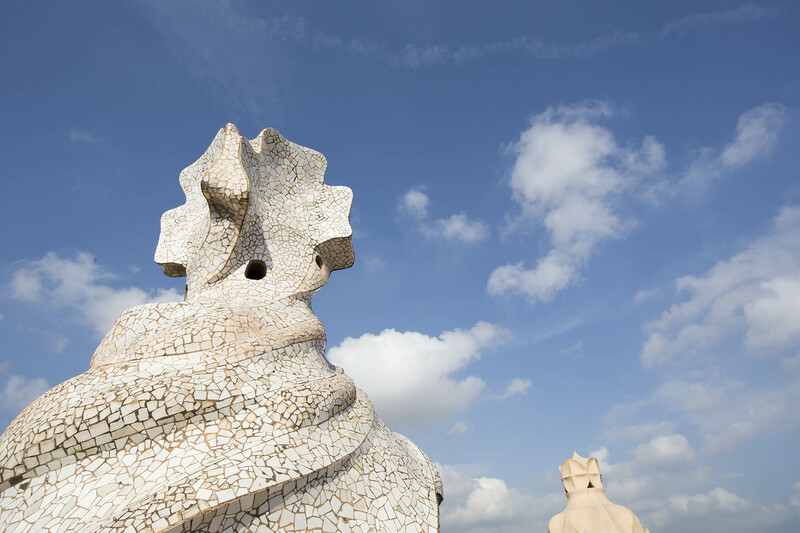 Nowadays Casa Mila is not only an exemple of modernism but also part of UNESCO’s World Heritage List. Visiting Valencia, one should not miss the City of Arts and Sciences, an architectural complex built at the end of a former riverbed. The City of Arts and Sciences consists of a 9 km long garden crossing the city and several museums, sport facilities and bridges. 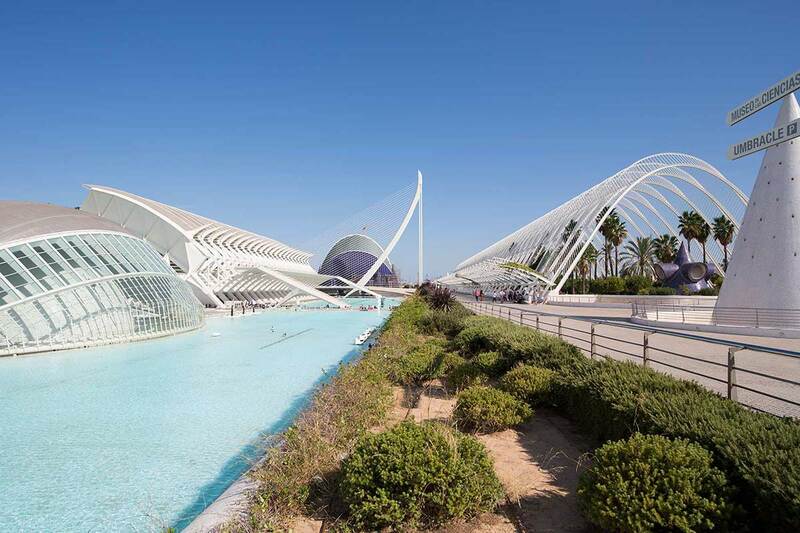 Most of these impressive monuments are designed by and still under the supervision of World famous architect Santiago Calatrava, born and raised in Valencia. The oceanografic, Spain's biggest aquarium, is designed by Félix Candela, born in Spain but later emmigrated to Mexico. Construction started in 1996 and after about 2 years its inauguration began with L'Hemisfèric. Other buildings visitors can see are El Museu de les Ciències Príncipe Felipe (2000), L'Umbracle (2001), El Palau de les Arts Reina Sofia (2005), L'Oceanogràfic (2003), the bridge El Pont de l'Assut de l'Or (2008) and L'Àgora (2009). Guggenheim Museum is one of the largest museums in Europe and hosts both permanent and temporary exhibits of modern and contemporary art. 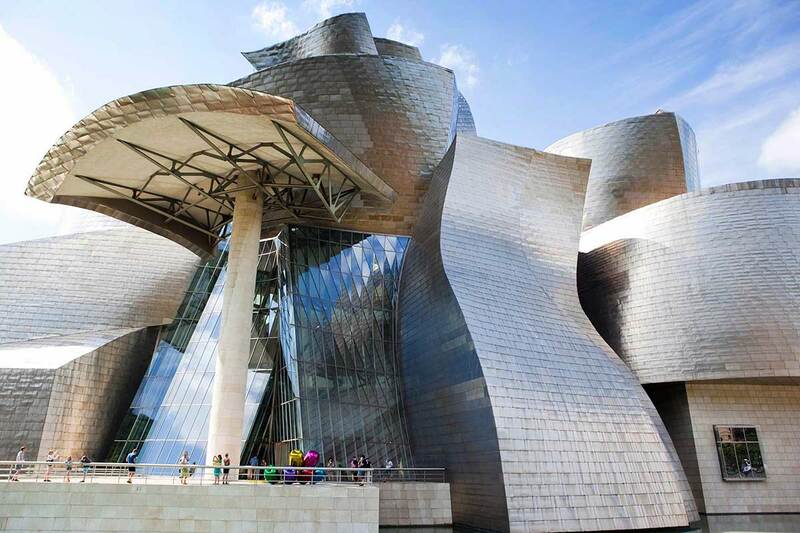 The building was designed by Frank Gehry, and is considered one of the most innovative architectural designs worldwide over the last decades. The building is part of the archtectural movement called Deconstructivism. The curves on the outside of the building are designed to catch the light and thanks to the titanium panels that cover it, the complex changes during the day and the night as the sun and the city lights reflect on it. 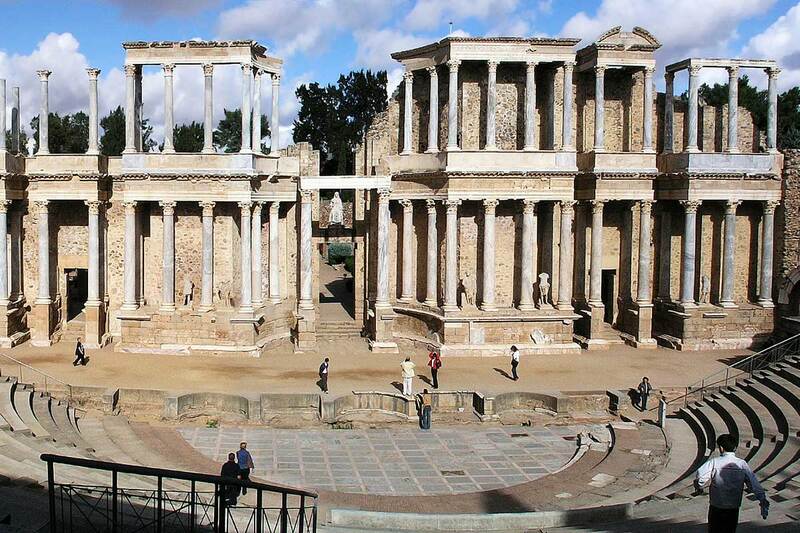 The city of Merida whose name originates from the city in Roman times: Augusta Emérita, was the capital of the Roman area of Lusitania as well as one of the Roman Empire’s most Important cities. Therefore it is not surprising that the city is home to the most important Roman Monuments in Spain, all of them very well preserved. This transforms the city into an open museum where visitors admire the open spaces on the original spots: the Roman Bridge (Puente Romano), the Roman Amphitheatre, the Aqueduct of Miracles (Aqueducto de los Milagros), and other fabolous monuments. The city has been UNESCO World Heritage Site since 1993. The Royal Site of San Lorenzo de El Escorial is located in a small town 45 km northwest of Madrid and was the historical residence of the Spanish Kings. This royal site has previously functioned as a monastery, a basilica, a royal palace, a pantheon, a library, a museum, a university, a school and a hospital. 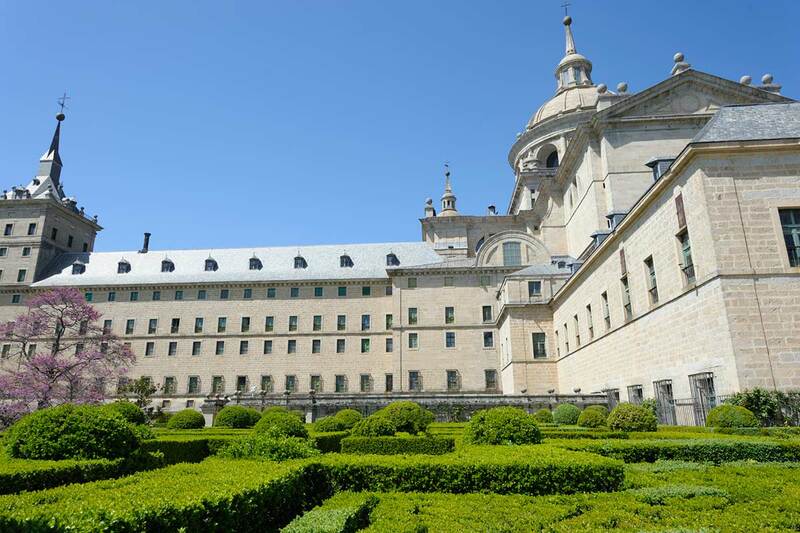 The main two architectural complexes that form Escorial are the royal monastery and La Granjilla de La Fresneda, a royal hunting lodge and monastic retreat about five kilometres away. Escorial is yet another UNESCO World Heritage Site. 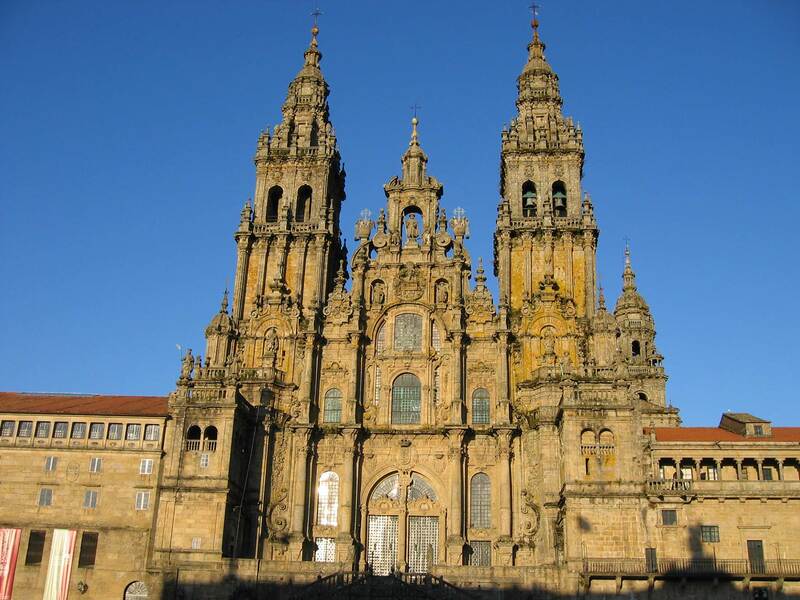 The Cathedral of Santiago de Compostela (another UNESCO World Heritage Site) can be found in the city of the same name in the Galicia region in northern Spain. It is part of the Roman Catholic church and is supposed to hosts the grave of one of the Apostle Saint James ( in Spanish Santiago). The original Romanesque architecture of the church has been combined with later Gothic and Baroque elements. The Cathedral is the absolute highlight of the pilgrimage route el Camino de Santiago (Way of St. James) that dates back to the Middle Ages, but also the official end of this pilgrimage route followed by many believers each year. The Spanish coast and islands are not to be missed during your visit to Spain. Many islands makes it possible to combine historical sites and cities, relaxation by the sea and cultural visit - without a doubt some of the reasons for their popularity. 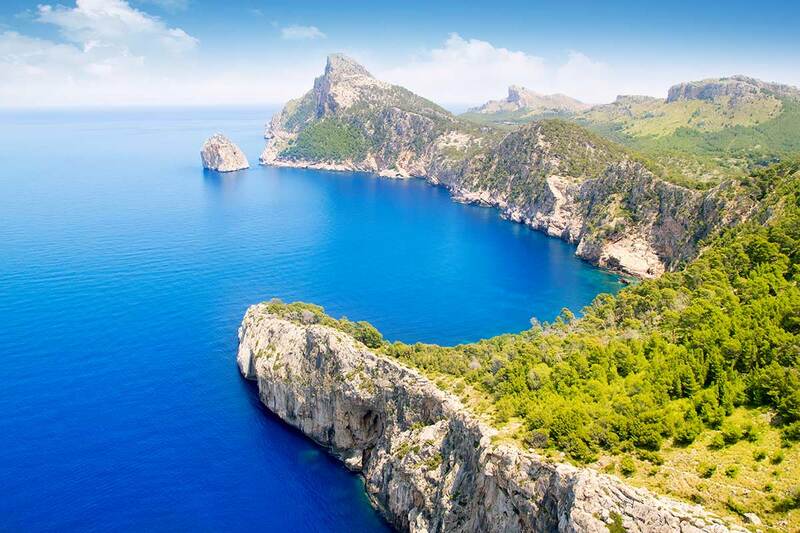 The Balearic Islands (Mallorca. Menorca, Ibiza and Formentera) as well as Costa Brava located in the north-eastern part of Spain make it possible not only to enjoying the sunny Mediterranean climate and excellent beaches but also to visit important museums, historical sight and taste gastronomy and local wines. At the far Wouth, you will find the Canary Islands, an exotic destination both because of their location right at the Atlantic Ocean but also for the average of 11 hours of sun per day during the summer. For the fans of the ocean and more wild nature the north of Spain promises very exotic coasts in the Cantabrian Sea combined with high quality sea food. 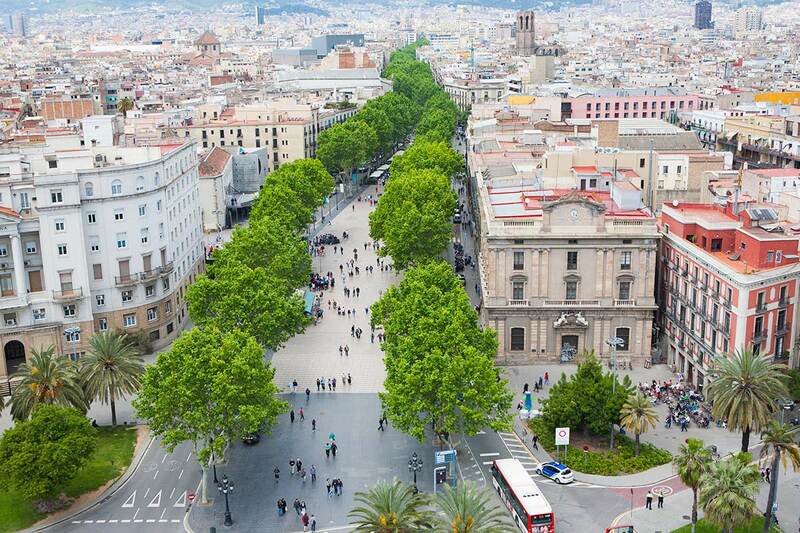 La Rambla is one of the busiests streets of Barcelona., and the center of the historic center of the city. A simple walk there will not only introduce you to some of Barcelona's most emblematic landmarks but will also you with the beautiful vibes of the city leading you from the city´s main square Placa Catalunya all the way to the sea side and the old Port. On both sides of it there are very characteristic neighborhoods to discover such as the Gothic Quarter, the Raval, the Jewish Quarter and El Born. It is an excellent place to taste local dishes or tapas or simply enjoy the view of endless number of fish, meat and fresh fruit. 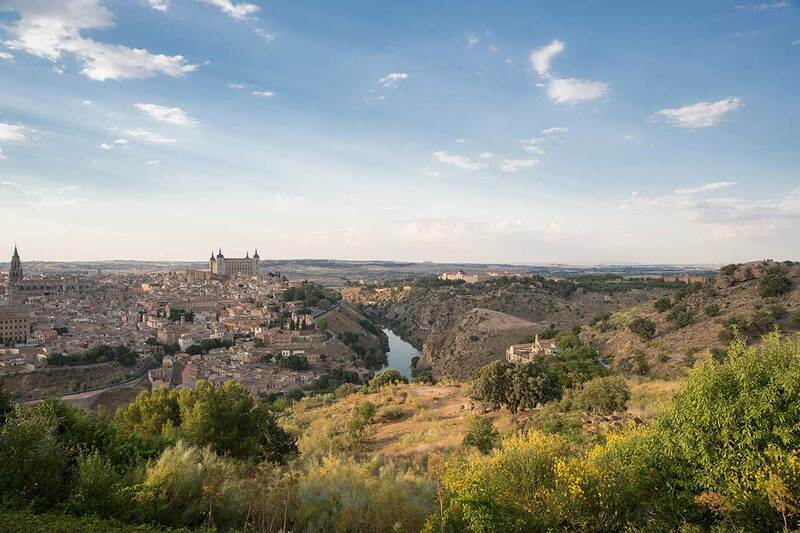 Toledo is a small city less than an hour's drive from Madrid. Its old town has been declared UNESCO Heritage thanks to its large amount of historic and cultural monuments. The old Town basically still has the same layout as it used to have during the Middle Ages. A walk within its small narrow alleys is said to be very impressive and travelling back in time each visitor. Toledo is also called The city of Three Cultures because of the important Muslim, Christian and Jewish heritage in the city. 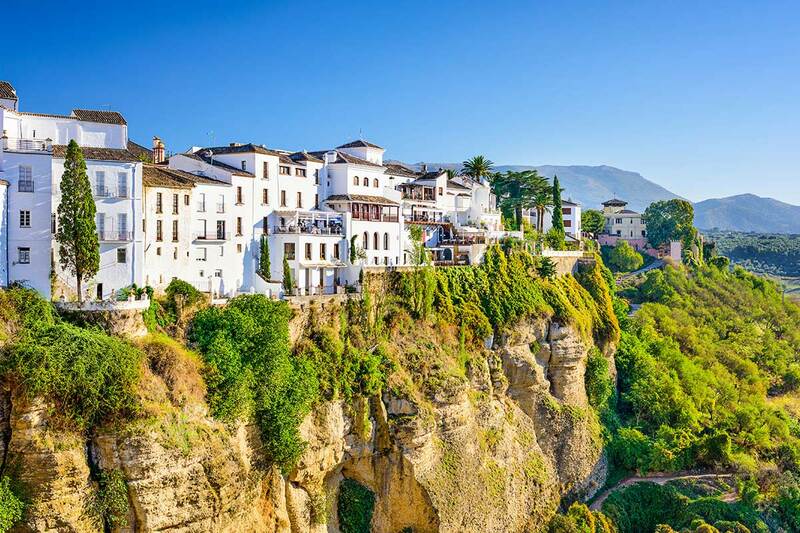 The White Towns of Andalucía is a series of small towns and villages located in Andalucía that can be reached from cities like Malaga, Cádiz and Seville. The villages' consists of picturesque whitewashed houses with red or brown roofs and most of them are situated within the Sierra de Grazalema Natural Park, some being located at the top of rocks offering spectacular views to the valleys. The towns were inhabited during prehistoric times and in some of them you can find ancient rock paintings. The White Towns were inhabited by Muslim communities of Al Andalus. Some of most famous White Towns are Ronda, Mjias, Grazalema, Olvera, Zahara de la Sierra and Ubrique. 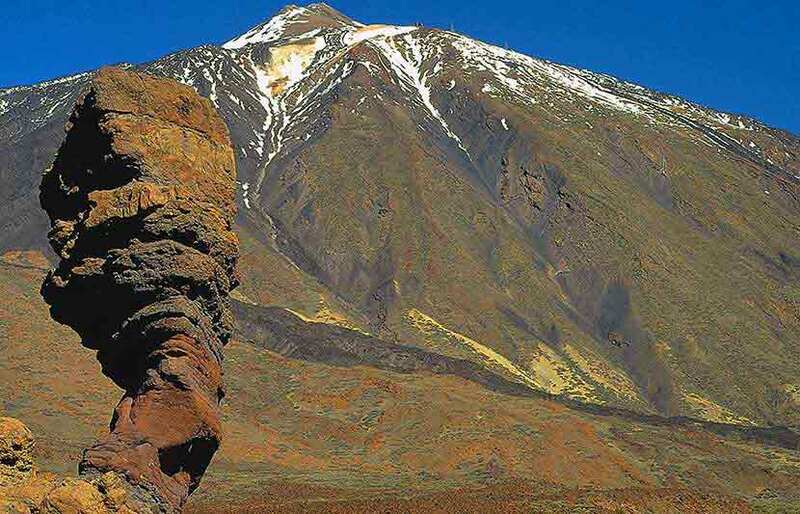 Mount Teide is an active volcano on the Island of Tenerife. Its peak at 3,718-metre makes it the highest point in Spain and higher than another mountain on other islands of the Atlantic. UNESCO and NASA has registered Teide as The Earth's third-tallest volcanic structure. The volcano and its surroundings is the most visited national park in Spain and in Europe and was recognised as a World Heritage Site by UNESCO in 2007. 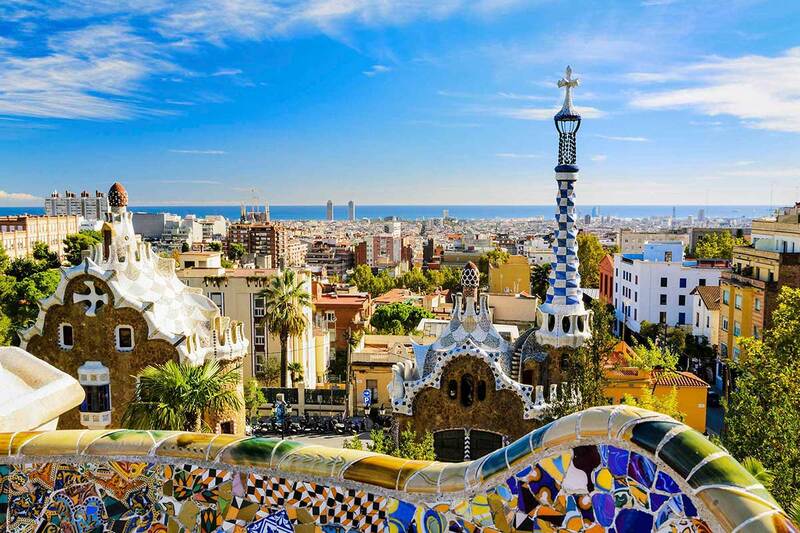 Park Guell was declared by UNESCO as a World Heritage Site in 1984. It is a public Park system formed by gardens and architectonic elements and very representative of the naturalistic phase of the architect. In 1900, Gaudí was given the assignment of designing Park Güell by Eusebi Güell from who the park gets its name. 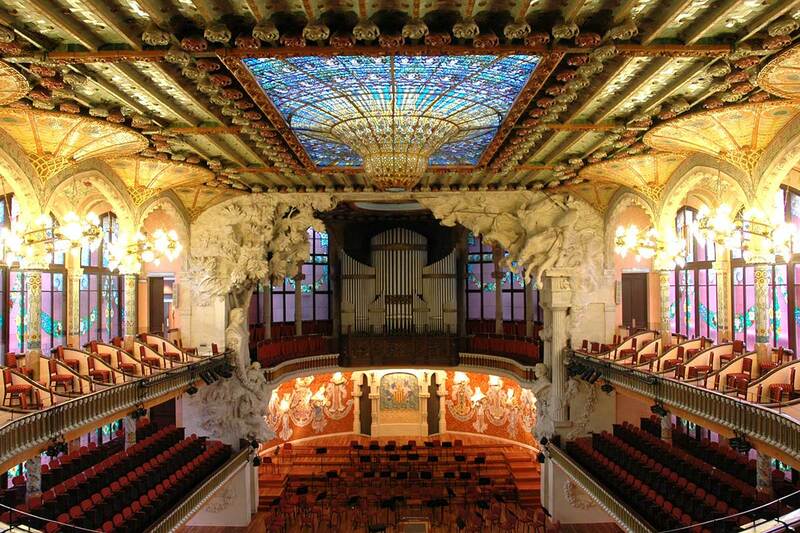 The Palace of Catalan Music is another of Lluís Domènech i Montaner's impressive buildings, that decorate the city of Barcelona with the modernist style. It was first opened in 1908 after 3 years of construction works funded by the Catalan society and the city´s industrialists and bourgeoisie. The Palace won an architectural prize for the most beautiful building in 1909, and it has also been listed as a UNESCO´s World Heritage Sites and even today it is still open to the public to enjoy several types of performances. 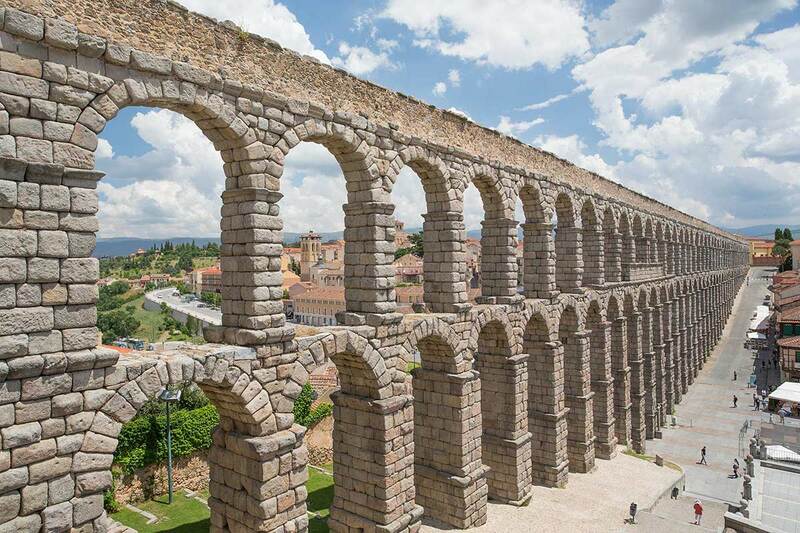 Segovia´s Aqueduct that was built during the 1st century AD is one of the most impressive Roman landmarks in Spain. The aqueduct transported water more than 15km from River Frio to the city center. Another striking monument of the city of Segovia it´s the Castle or the Alcázar of Segovia. Both castle and aqueduct are UNESCO World Heritage Sites. 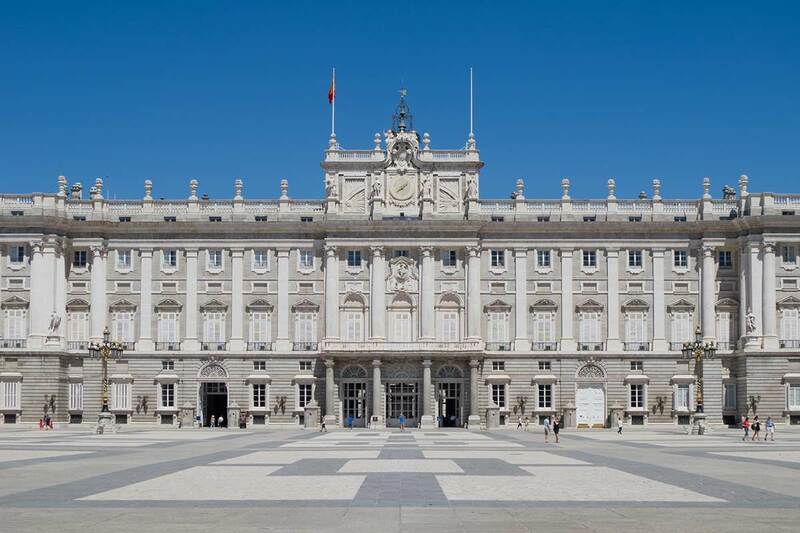 The Royal Palace is the official residence of the Spanish Royal Family located in Madrid; however it is being used only for state ceremonies as the Royal Family is residing in a more modest Palace in the outskirts of Madrid. The Royal Palace’s construction started in 1738 after the loss of the previous fortress (Old Alcazar) built by Muslims. Its architects where Filippo Juvara and his student Juan Bautista Sachetti-who continued his work after the first one died. In its interior the Royal Palace comprises over 3000 rooms and its Painting Gallery is a home to a large number of artistic treasures of artists such as Caravaggio, Velázquez, Goya, Federico Madrazo and Sorolla.. The Hospital de la Santa Creu i Sant Pau or in English ‘’Hospital of the Holy Cross and Saint Paul’’ was started to get constructed by the famous modernist architect and politician Lluís Domènech i Montaner in 1901 but it came to function in 1930. Since 2009, and after 80 uninterrupted years of services, the buildings now works as a museum with archives reflecting the history of Catalonia. 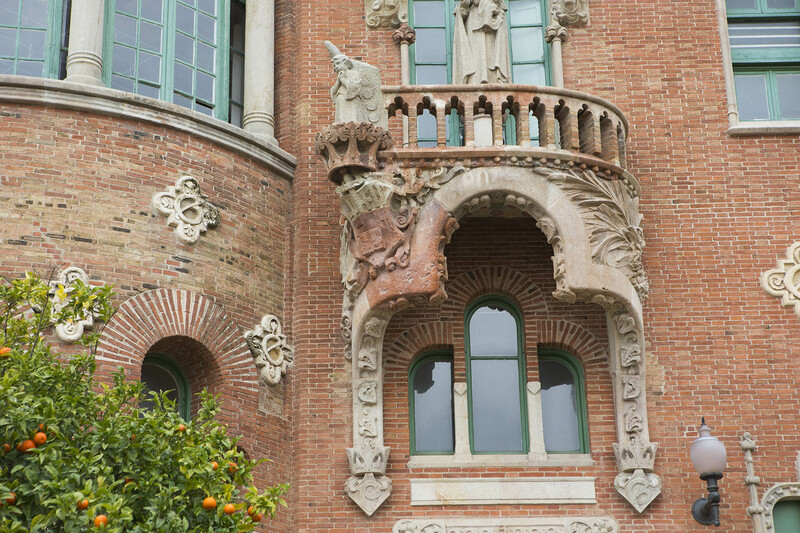 The fact that it was funded by the banker, Pau Gil, was the reason that led UNESCO to give World Heritage Site-status to Hospital de la Santa Creu i Sant Pau in 1997. Plaza Mayor is the Main Square of Madrid and a great place for tourists and locals to shop and enjoy the outdoors restaruants and bars. The square dates back to the 15th century where it had the name Plaza de Arrabal when it was used for several popular events like bullfights, beatifications, coronations and built during the Habsburg period. Its modern transformation started in 1617 after King Philip II commissioned the Classical architect Juan de Herrera to remodel the square. More architects took over the renovation of the square until it was finished in 1854. The square has survived 3 incendies that have destroyed big parts of the square. Passer-by’s can admire the statue of King Philip II placed right in the middle of the square by Queen Isabela. There has been a considerable rise in the number of Michelin restaurants in Spain over the last years. 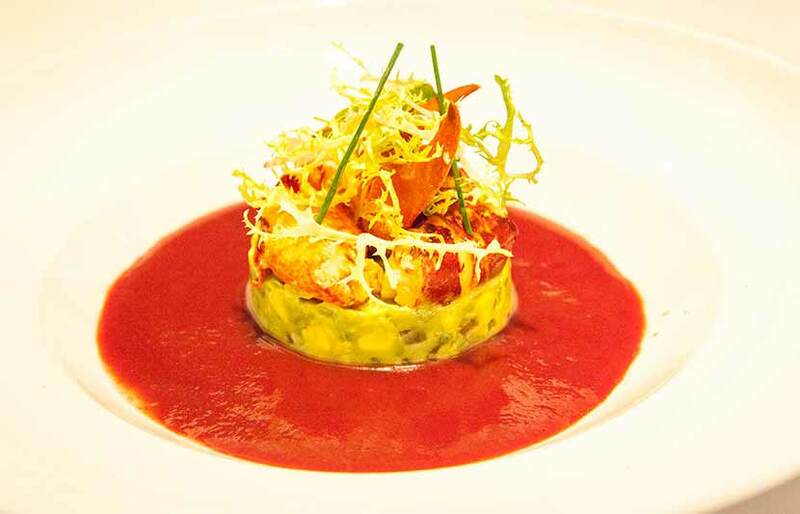 Chefs like Martín Berasategui, Ferran & Albert Adriá and Carme Ruscalleda have been at the lists of the gastronomic guide books top 10 lists. During close to a decade Ferran & Albert Adrià's El Bulli was in the World's focus. Now, restaurants like Disfrutar and Tickets are taking over in the top range, but Spain is also filled with bib-gourmand restaurant and restaurants recomended in the little French guide where 2 people can have a superb meal for just 50-60 restaurants including drinks. Priorat is a hilly part of Catalonia´s region famous as one of the best wine regions not only in Catalonia but in the whole world. The denomination of origin of its high quality wines is known take the name of the region Priorat, which hosts more than 100 wineries. As result Priorat has collected a large group of wine enthusiasts but also provides a large opportunity for eno-tourism while the prestigious bottles produced in the area will travel all over the world (New York, Zurich, Cape Town and many more). 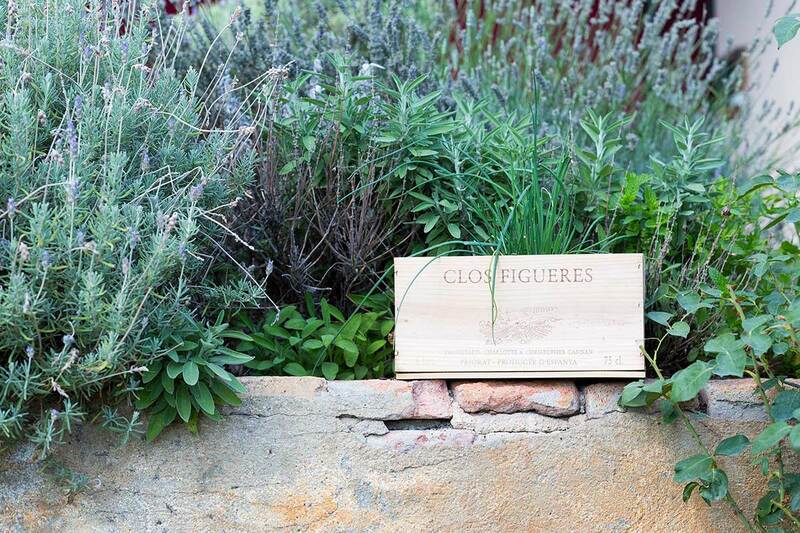 Some of Priorat´ s most famous wineries are called ´´ Alvaro Palacios, Clos Mogador, Mas Doix, Ferrer Bobet, Clos Erasmus´´. 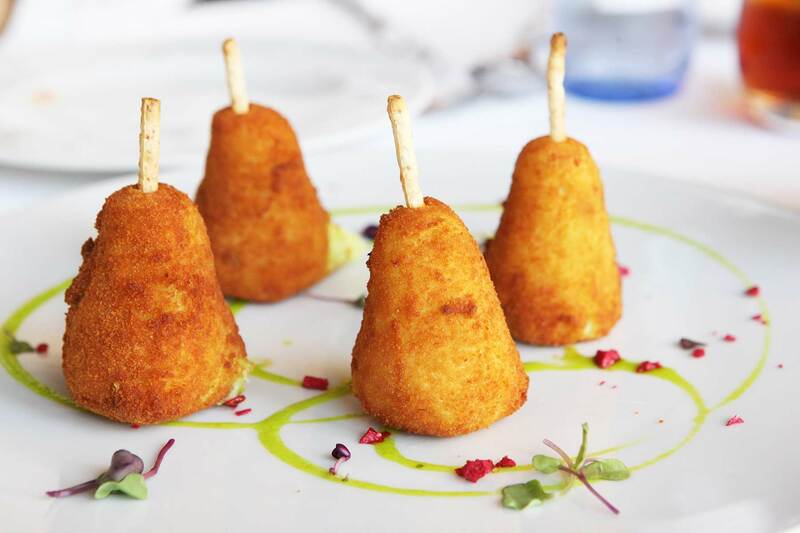 The word tapas has become synonymous with Spanish culture over the last years. Early in the 19th century, tapas were offered at albergues, and here tapas were used to cover (tapas means cover in Spanish) the glass and protect the drinks from flies. Today, the Tapas concept has been upgraded and modernized, and in some cases topas can be high quality cuisine. You are able to find a huge variety of tapas all over Spain and tapas can be very different from one region to another. In some regions, a few tapas are equal to a full meal, in other regions they are smaller. The verb tapear (to go for tapas) is an activity that locals love: you go to several tapas restaurants and taste the specialty of each bar on the way, which makes it an interesting experience that combines culture, sightseeing & gastronomy.